The time students spend inside and outside of class on service-learning preparation and service is an important issue in Community Service-Learning course design. UPDATE: Here is the Power Point (PPT) file of the Helping Students Find Time for Service-Learning presentation for the talk given on this topic at the 2009 EngageNOW conference in Calgary, Alberta, Canada. The desire of students to integrate community-based learning and community problem-solving with academic credit-based learning, especially when co-op and co-curricular service-learning are not convenient time commitments for most students. Also, the simultaneous involvement of peers’ and instructors’ time makes service-learning more effective and satisfying. Quality mutual engagement in a partnership requires the alignment of everyone’s schedules. The necessity of making community service-learning truly beneficial to the community. It is difficult enough for community partners to schedule their staff members’ time to plan and guide service-learning. If the service project is too small and insignificant, the effort of hosting and orienting students will be too great for a busy partner. If a project is performed very poorly because students can’t devote enough time, it will lead to disappointment for the community partner and less interest in hosting a student service project in the future. This fall I will be linking two of my courses together with a shared theme of Sustainability and a shared project to create a website and/or blog. The project will be to research and/or communicate about how our own Faculty of Communication and Culture teachers and students learn about, research and serve communities to enhance environmental, social, and economic sustainability. The two courses are COMS 451: Research in Communication and COMS 463: Advanced Professional and Technical Communication. The links in the previous sentence lead to the course websites that were still under construction at the time of writing this blog. In the upper left-hand corner of each website is a link to its course outline. In this blog, I describe how I plan to do this. I invite questions, comments, and good advice! 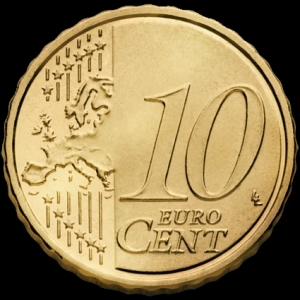 10 cent Euro coin, 2007. from Wikimedia. Okay, so I admit I’m a real supporter of Community Service-Learning. But you also know I’m a rhetorician from the context of this blog, so you will likely be resistant to my direct persuasion! 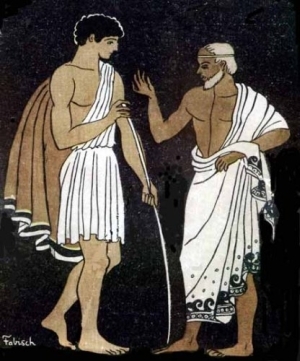 So I take a negative psychology approach to persuasion in this post. By reflecting on these 10 reasons NOT to do CSL and the social conditions under which it might NOT be wise to try it, you might actually find yourself considering the very good reasons for going ahead and doing it. I wrote the message below in response to a Summer 2008 listserv request for information on courses for peer tutors of writing who are assigned to particular courses. Here, I briefly explain the model of “curricular peer mentoring” and how it is practiced in the program that I developed at the university of Calgary.